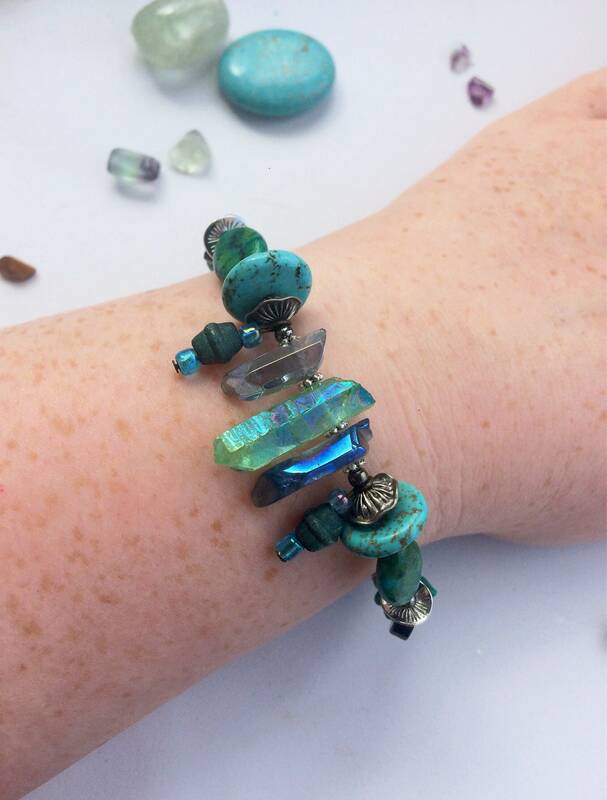 A eclectic and unusual beaded gemstone bracelet. 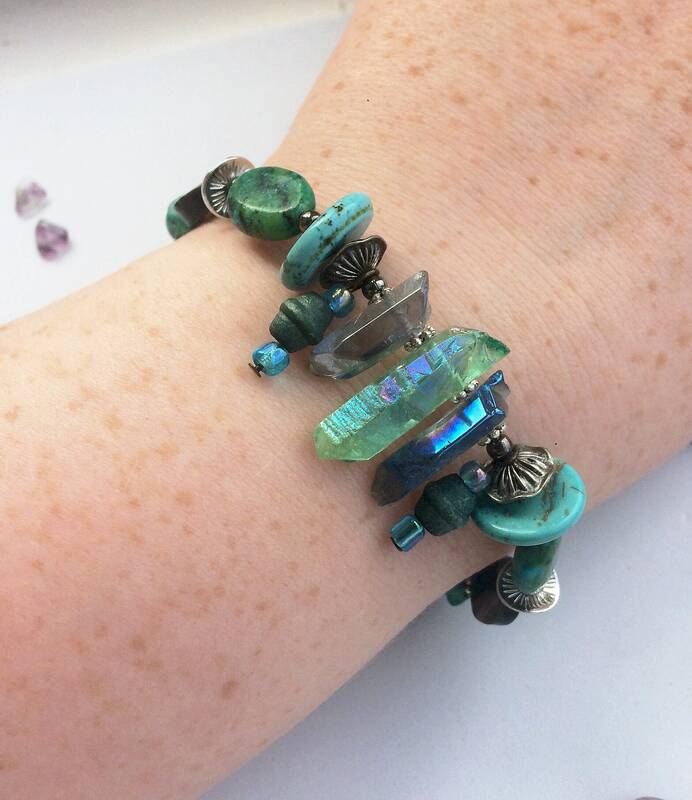 This features several grade A gemstones in a range of texture, colour and shape in a colour palette of aquatic green-blue turquoise. 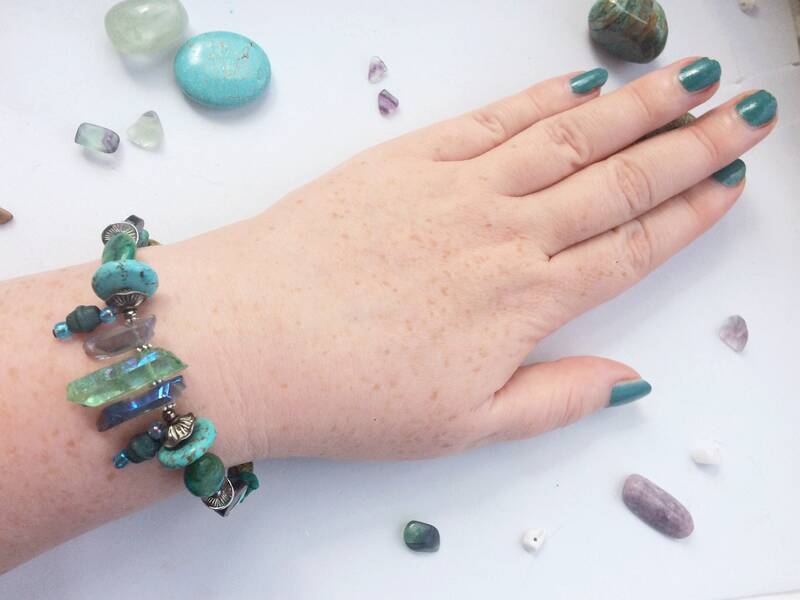 The chunky bracelet has a extender chain meaning the fit is adjustable from 20-23cm, which is a generous large size to allow the bracelet to hang close or loose on the wrist. It makes quite a stylish statement, bohemian and artisan. 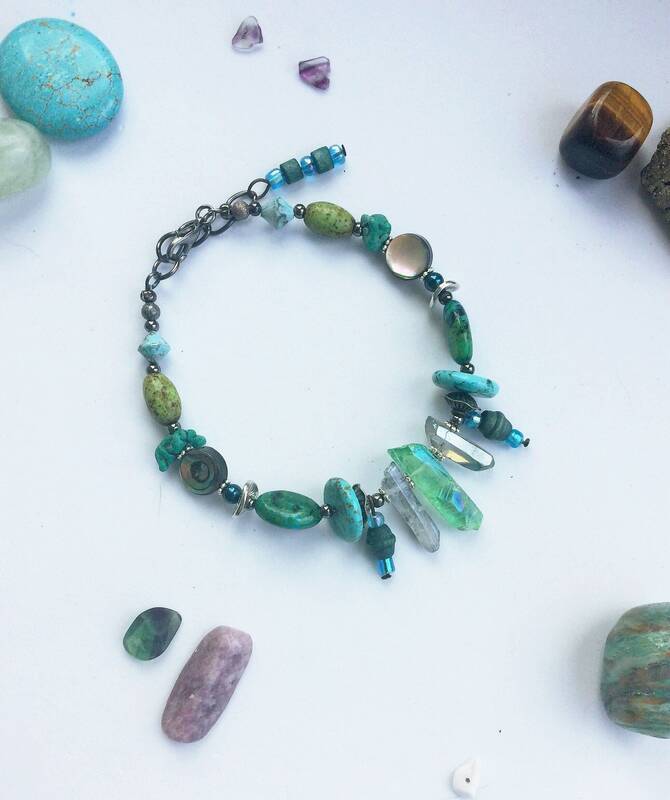 The gemstones include raw agate geode slices in green and blue placed centrally. 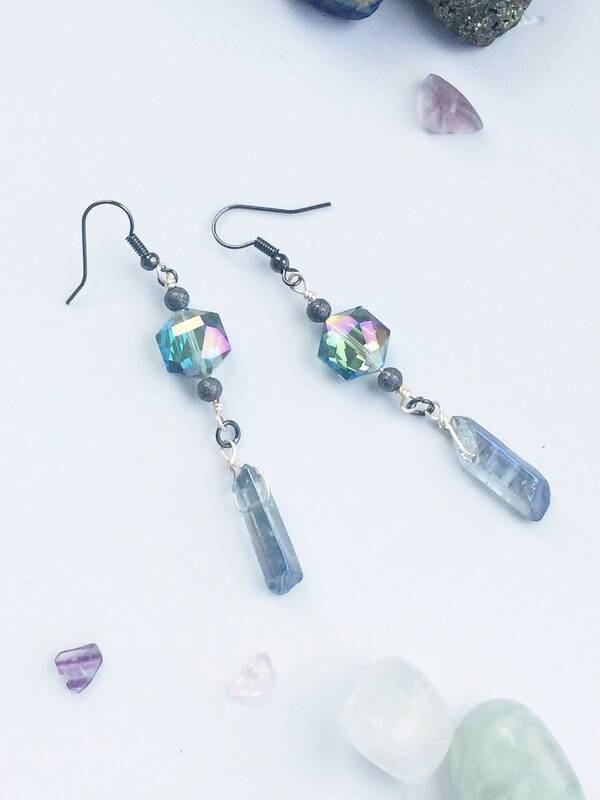 They have a spectacular iridescent sheen flashing rainbow colours in the light. 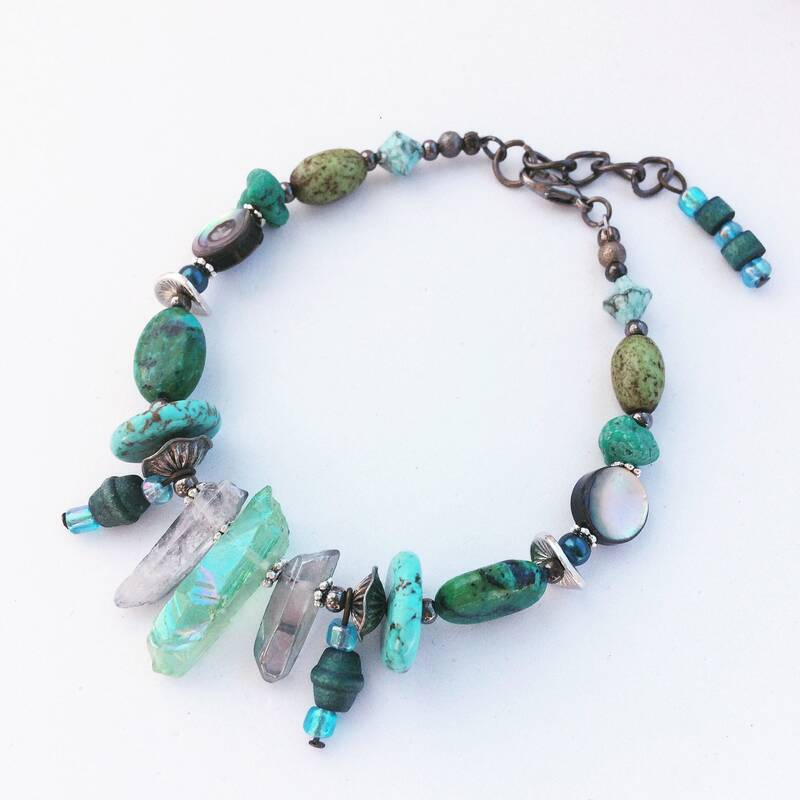 This is complimented by two gemstone turquoise disc beads and then deep green and cyan coloured chrysocolla oval beads. 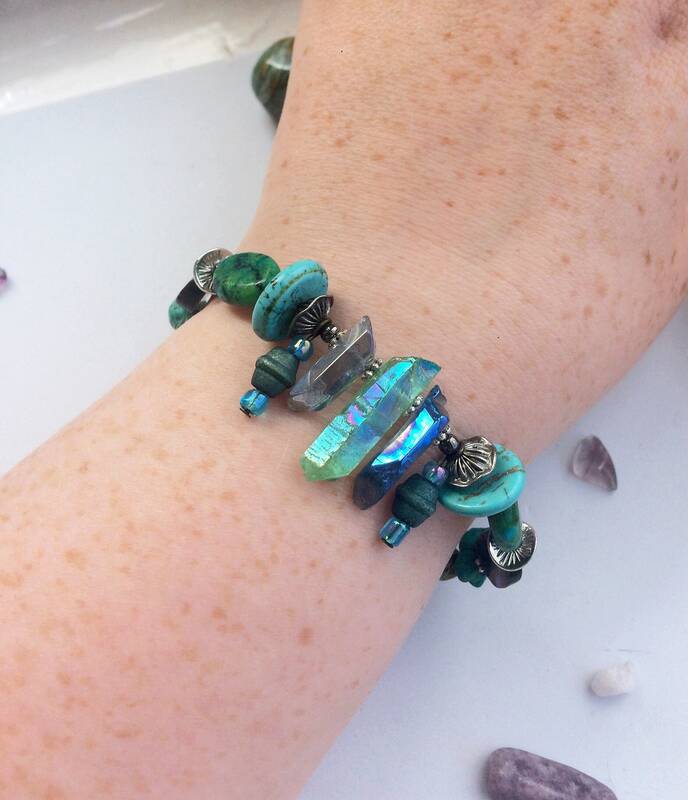 There are also paua/abalone shell disc beads, a iridescent turquoise/green shell native to New Zealand. 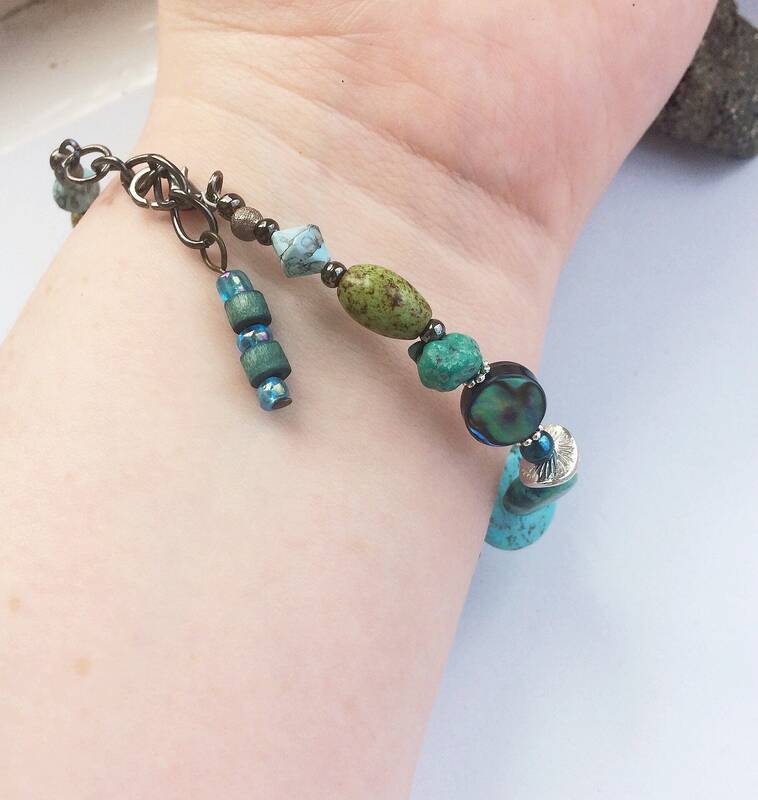 There are also some smaller rough cut turquoise nugget beads. 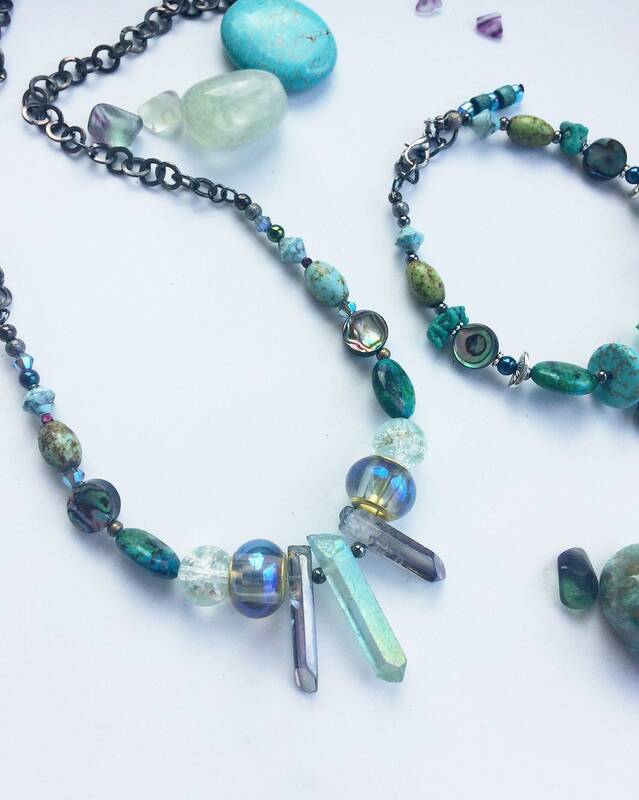 Inter-spaced with the gemstones, mixed metal, wood and acrylic beads in a range of complimentary colours, including gunmetal grey, complete a bold and completely unique design. As you can see in the last pictures, I completed a range of similar raw geode pieces recently. The links will follow.